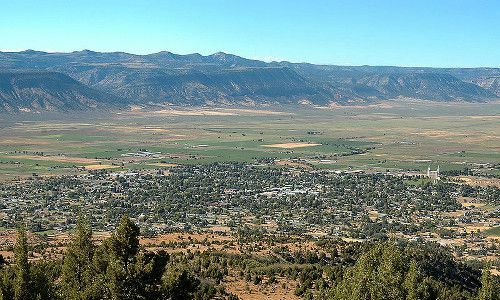 Sanpete County lies at the center of Utah and may be referred to as the Valley of Sanpitch. Since it is centrally located, it is only about 121 miles (2 hrs) south of Salt Lake City. The county sprawls over quite a large area: 1,602 square miles. To put this into perspective, Sanpete County is nearly four times the size of New York City. Image via Ken Lund Flickr modified under Creative Commons. The available housing sizes and styles are quite expansive, ranging from historic homes to custom built homes to country-style dwellings. Whether you are looking for a single family detached home or a multifamily semi-detached home, you can find it here. Image mbush_utah Flickr Creative Commons. Want to build your own dream home? Sanpete Valley land is also available. There are 177 active homes for sale on the MLS for Sanpete County, UT. They range from just under $40,000 up to several million. There are even a decent number of quality properties for the budget-conscious for under $100,000. Property sizes range from one bedroom one bath homes to eight bedroom four bath houses. Compared to classic city living, you will be pleasantly surprised by how much land is included with a home purchase. Want to grow a garden, raise a few animals or own a fishing pond or outdoor BBQ fire pit? You will fit right in with one of the many communities in Sanpete Valley. For those craving the comfort of the city, Sanpete contains inclusive developments of custom homes in line with the traditional city life. The backdrop of lakes, streams and the Sanpitch Mountains will have you appreciating the city-in-the-country lifestyle. As a Realtor for the Sanpete County area, I have seen people make Sanpete home in their own ways. Whether it be a secluded log cabin, a French manor, a Victorian home, a down home farm or more traditional city housing, I have seen it all. Are you looking for a specific property type? Call me directly and let me share my insider community knowledge. Within two years of settling a quickly-growing Salt Lake City population, Mormon leaders asked for people to spread out and create new settlements. Settlers arrived in Sanpete Valley on November 19, 1849 and it quickly became one of the primary spots the pioneers relocated to. Within a 10-year period, numerous settlements had been established in the valley, including what is now the county seat, Manti. 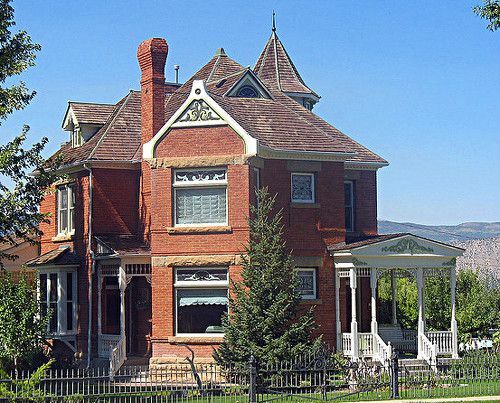 Find out more about Sanpete County’s rich history. A constant influx of people into Sanpete County has kept the economy growing. It is largely an agricultural region with a bit of livestock mixed in. Many growing small businesses and local government jobs give Sanpete County a family feel. One example of the growing industry here is the turkey ranching ran by the Moroni Feed Company. Moroni Feed Company is part owner of Norbest, one of the leading producers of turkey in the United States. Its headquarters, located in Moroni, employs over 600 people. The well-known Snow College brings in residents from all over the country. Snow College logo by Snow College Brand Manager – Snow College. Licensed under Public Domain via Wikipedia. Each of the cities in Sanpete County have a range of activities and events that span from rock climbing to yearly festivals. 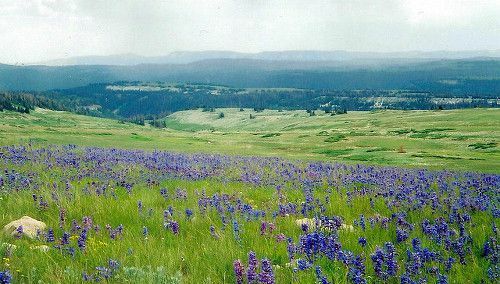 Numerous national parks are a short drive from Sanpete County, including Palisade State Park. 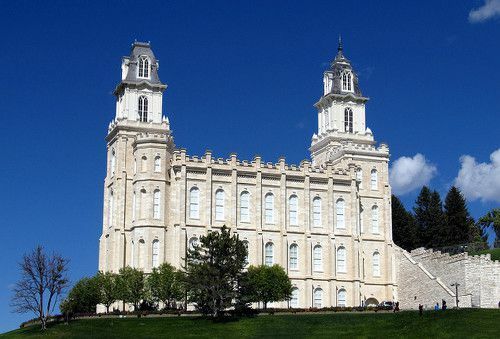 Located at the Mormon Temple in Manti, Utah, this pageant has the largest attendance of any outdoor pageant in the United States, averaging 15,000 people a night. It runs yearly during the last two weeks of June. Starting in 1967 and continuing today, a cast of 900 members carries you through American history using dance, music and drama. The influx of people to the Sanpete County area during the pageant provides a wonderful boost to the economy. Here are the details for the Mormon Miracle Pageant. Jeep Posse Day, also known as Radio Day, is a local fundraiser spanning the county every year on April Fool’s Day. During this event, Sanpete County Search and Rescue takes over the airwaves to generate money to fund rescue services for the year. A shirt is designed annually sporting the theme “Get Lost, Support Sanpete County Search and Rescue”. Other events of the day include the sale of Coca Cola products. Coke jails are used for the fun of arresting your friends and family and making them work to produce bail in support of the fundraiser. Local celebrities J.D. Fox and Kerry Duel and the 40 members of Search and Rescue also promote local business’s on KMTI Radio. Several goods and services are put up for auction to help raise funds for Search and Rescue. Events simalar to this one are common place in Sanpete Valley and show how important every person or business is to the community. Manti Utah. Licensed under CC BY-SA 3.0 via Wikimedia Commons. 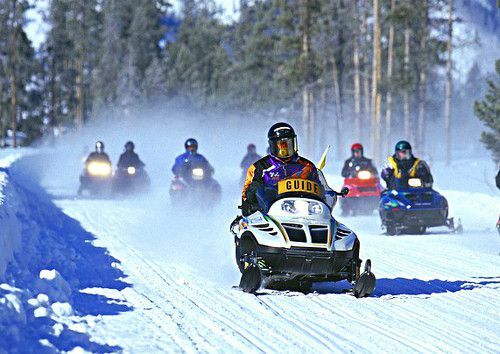 Whether you are from out of state looking for a change of pace or a native of the Sanpete Valley, there are many events that help perpetuate the small-town, country living, community lifestyle with big city perks. The real estate landscape in Sanpete County is evolving and growing. As a Realtor and an active member of the community, I would love to share the my knowledge of the county housing market with you. Start the search for your new home now! Real estate is my passion and a huge part of my life. I enjoy staying up-to-date on real estate information and new trends in the industry. Through my writing, I relay that information to you. Committed to providing the highest level of service to home buyers and sellers in Sanpete County.